These two Seven Hills Wheelmen bicycle rides start at the corner of West Main Street and Harris Street in Millbury MA, by Singletary Pond. (Map to start) with some moderately hilly terrain. 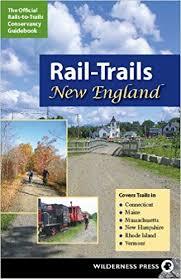 The 60 mile route circles through three states, including Spencer, Charlton, Southbridge and Dudley in Massachusetts & Thompson, Conn., and the Buck Hill Management Area in Rhode Island. The return goes by Douglas State Forest before arriving back in Millbury. 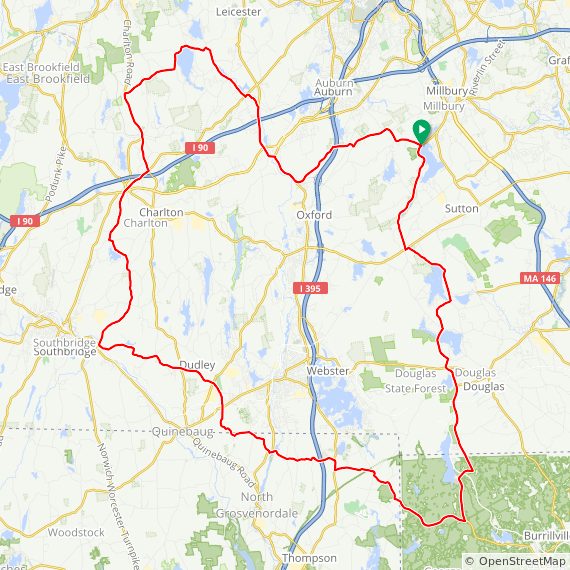 The 30 mile route follows some of the same roads but stays in Massachusetts and also visits Sutton State forest. 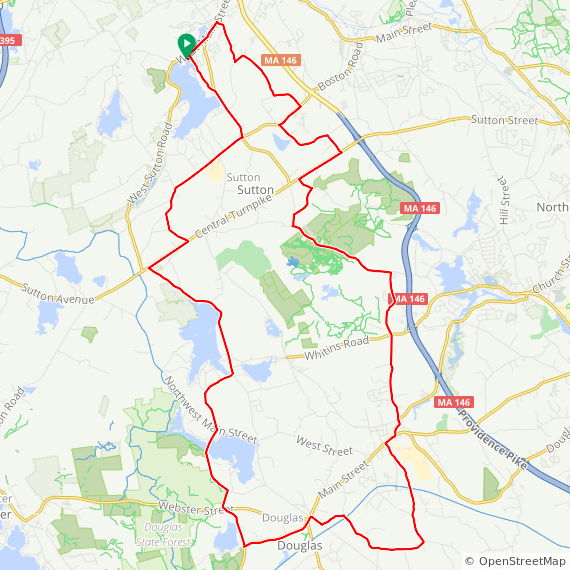 View both bicycle rides from Millbury below.